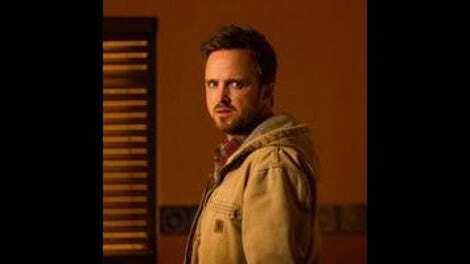 On paper, “The Miracle” looks like a great capper to what has been a promising first season of The Path. Eddie and Sarah trade positions in the narrative, Eddie presented with spiritual truths he can’t deny and Sarah stripped of her faith in Cal and the new phase of Meyerism. Hawk commits to the movement, resignedly taking the vows he was so desperate for in the premiere, Alison returns to the fold, and Mary finds herself drawn once again to Cal, who assumes leadership of the movement and announces the final three rungs of The Ladder. Unfortunately, the finale is more interested in moving these characters to points of symmetry with the premiere than it is in pushing their storylines forward, resulting in a solid, but not entirely satisfying end to the season. The most exciting development in the finale is Eddie’s visions and their implications on the world of the show. While the episode backs away from fully committing to Eddie as a prophet of the Light, its willingness to tease this idea and give at least one concrete example of a spiritual force guiding Eddie raises the stakes of the entire series. If Dr. Meyer tapped into something genuine in this universe, if the Future is coming, the power struggle happening within the movement suddenly carries tremendous weight. The specificity of Eddie’s vision of the dead bird is great. While the snake is open to interpretation, Eddie finding the same dead bird he’d seen in New York on the floor of Silas’ room in Cusco can’t be ignored—there’s no way for him to have known about this beforehand, even subconsciously. Showing this, confirming to the character and the audience that Eddie’s not crazy, opens up a whole new avenue for the series to explore moving forward, one the second season will hopefully embrace whole-heartedly. Unfortunately, the final shot of “The Miracle” lacks the punch intended, its promise of world-changing revelations to come in season two a frustrating note to end on (and one reminiscent of the aggravating final shot of Lost’s first season). Despite this, Eddie’s journey in the finale is terrific, and the highlight of the hour. The other intriguing arc of the episode is Sarah’s inquiry into Silas and Cal, and where this leads her. Sarah’s doubt opens the finale, reflected in the score as she sees the same snowy owl that perched above Cal as he buried Silas. Her marriage has disintegrated and she nearly lost her son; Sarah needs her mentor and it’s great to see her pull at the thread of Silas’ disappearance. While “The Miracle” gives Sarah several fantastic scenes showing just how much she’s struggling with her and Eddie’s split, the episode lets her off the hook for her treatment of Hawk in the previous installment. We can’t know whether Sarah would have stuck to her guns and cut Hawk out of her and Summer’s life had he refused to take his vows, but it’s jarring to have such a drastic move by the character go unremarked upon, by Eddie, Hawk, or Sarah herself. One could argue the subtext is there, that part of what prompts Sarah to keep digging and not accept Cal’s answers at face value is the disconnect she feels between what she nearly sacrificed for the movement—and what she has sacrificed in her relationships with Eddie and her sister—and Cal’s new message of love and forgiveness. However, more tangible consequences to her actions, particularly in her relationship with Hawk, need to come to the surface early in season two, lest they get swept under the rug while the show focuses on Sarah’s admittedly engaging plot to wrest the movement from Cal. While Eddie and Sarah have distinct arcs in the finale, discovering truths that upturn their understanding of their world, most of the other characters are in stasis. Cal spends most of the episode implementing the plan he hinted at when talking to Doc and re-establishing familiar dynamics with Sarah and Mary. Hawk gets very little screen time. We see him comfort Summer and interact briefly with Ashley at school, but for the most part, any reactions he’s having to recent events happen offscreen. Alison remains where she was at the end of the previous episode, lost and hoping to return to the only home she knows. Her willingness to chalk Jason’s death up to suicide, rather than an accident or foul play, closes the chapter on that storyline just as it got interesting. Then there’s Abe, whose daughter manages to recover overnight and avoid a major surgery, after Eddie prays for her. This could push him toward the movement, but as with Eddie and Hawk, the finale leaves Abe’s response to this dramatic turn offscreen, saving it for season two. The only character besides Eddie or Sarah to make an active choice in the finale, rather than continue on a pre-determined path, is Mary. Cal falling into old patterns with Mary is nothing new; if anything, him respectfully rebuffing her advances would have been noteworthy. But Mary’s about-face with Cal, after the show’s deliberate, multi-episode build-up of her connection with Sean, feels sudden. Mary acting out and sabotaging her potential happiness makes sense, but her lingering attraction to Cal—if we take her at her word and assume she’s not just telling him what he wants to hear—needed a bit more attention. If the show wants the audience to invest in Mary’s romantic life, decisions like this need to feel organic, and not like a convenient complication for the finale. 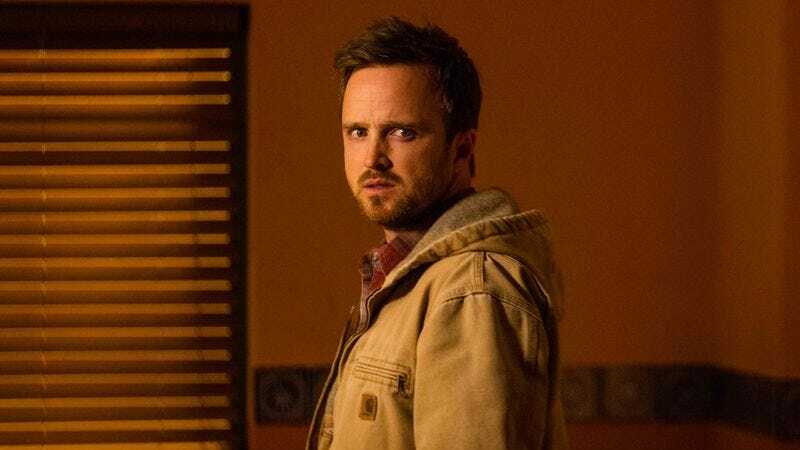 While it would have been nice to see “The Miracle” push its characters even further and fully commit to the implications of Eddie’s visions, this is nonetheless an entertaining finale for what has been a confident first season of The Path. Though it took a few episodes for the show to establish where Eddie, Sarah, and Cal were coming from, the series quickly found its feet, taking advantage of its talented cast and making the most of its writers’ affinity for teen and family dynamics. With the characters poised on the brink of significant revelation and change, there’s no telling what season two may bring, but given its strong freshman season, I look forward to finding out. I mentioned this above, but it really has been a treat to see Michelle Monaghan, Aaron Paul, and Hugh Dancy get such interesting material to work with, and to discover the rest of The Path’s deep bench. Summer’s invisible ink pen, and its payoff, is an affecting and efficient way to check in on where she’s at. Hopefully Sarah’s disillusionment with Cal and discovery of the lies she’s been fed will pave the way to her reconciling with Eddie; Summer and Hawk need their dad. Speaking of, I love the stink-eye Hawk gives Cal at the announcement of the final rungs (though I might be reading into things a bit). I’m not a big fan of the show returning to the Cal and Mary dynamic, but I was concerned for Mary nonetheless when Cal looked at her after closing the door on Sarah. A cold, “What shall I do with you?” is written across his face, while Mary holds a white bedsheet together at her chest to create the lines of a strapless, draped wedding dress, her expression inscrutable. Richard as a potential ally for Eddie is interesting, particularly if Meyerism turns out to be true and Eddie is Doc’s new chosen successor. The return of the snake from Eddie’s initial vision is fantastic, and incredibly suspenseful. It’s used really well and I love the idea of Doc reaching out to him with it, first tentatively, and then hissing in his face because Eddie didn’t listen the first time. Score Study: Will Bates has done excellent work with the score for The Path and his incorporation here of several of the show’s more recognizable themes contributes to the finale’s sense of closure and symmetry. Eagle-eared listeners will catch several—please share your favorites in the comments—but the motif I’ve been most invested in this season has been the doubt theme, which comes in right away as Sarah walks through the woods. After what Eddie experiences in the finale and what Sarah discovers, doubt will have to play a very different role in the central trio’s dynamics, and it will be interesting to see if this motif is used with them in season two, or left for Abe, Mary, and Sean. While there’s plenty of other interesting, notable scoring in this episode, I’ll focus on one more set of scenes: Eddie’s visions. The scoring for Eddie’s visions intensifies through the finale. With the first appearance of the snake, we hear a wall of sound which rises in pitch, percussion crescendoing until the snake disappears and the score stops, leaving a heavy silence as Eddie tries to process what he’s experienced. With the bird, there’s steady percussion, distortion, a high pitch, and greater intensity, and when the snake returns, clustered woodwinds and rumbling are already present when a repeated sixteenth note is layered in to add dread. This is followed by a wash of percussion and high strings that slowly, deliberately glissando up, matching the pace of the snake as it creeps up Eddie’s chest. This time, after he jumps up and the snake disappears, rather than cutting to immediate, weighty silence, two notes linger, an unresolved perfect fifth. Eddie’s visions will only become more insistent and while he may not understand them, he can no longer ignore them. If you’re still reading, thank you for diving into The Path’s score with me this season! It’s been a pleasure to cover a show with music that rewards analysis, improves with re-watching, and comments on the development of the characters and the show’s themes.